Moroccans believe it was Saudi Arabia that ruined the North African country’s bid to host the 2026 World Cup. Local press in Morocco said on Wednesday that it was Saudi Arabia that “led an all-out campaign” in favor of an opposite bid to host the 2026 World Cup by the United States, Canada and Mexico. 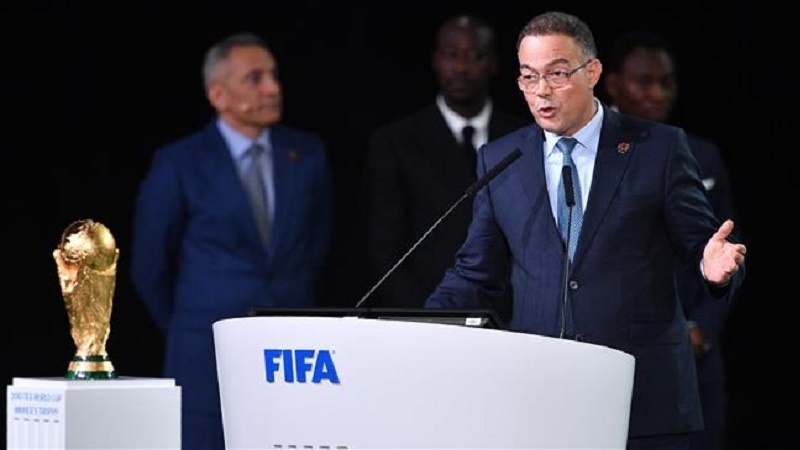 According to Press TV, the joint North American bid won 134 votes, compared to 65 for Morocco, at a FIFA Congress in Moscow earlier in the day to gain the rights for hosting the prestigious football tournament in 2026. “God protect me from my friends, my enemies I can deal with,” said Moncef Belkhayat, a member of Morocco’s bid committee and ex-sports minister, before the vote opened in Moscow. Saudi Arabia apparently led other Arab countries, especially those wealthy states in the Persian Gulf region, to support the North American bid. The move came despite a promise in April by the Arab League to back Morocco’s bid. Senior media figures in Morocco lamented the Saudi decision. Samira Sitail, Head of public broadcaster M2, said the vote showed that Saudis were no more than a vassal state for the United States. “The United States has a new state. It is Arab and Muslim, easily exploitable, and it loves to put knives in friends’ backs,” said Sitail, making an apparent reference to Saudi Arabia. Morocco’s national football team is also present in Russia. The team is grouped with Iran, Spain and Portugal in the World Cup games while there is a very slim chance that it meets Saudi Arabia in the second stage of the tournament.